Ergobaby Metro Newborn Kit provides a comfortable, supportive, lie-flat position for baby on the chassis of the Ergobaby Metro Compact Pushchair. Why Should I Buy The Ergobaby Metro Newborn Kit? Ergobaby Newborn Metro Kit is a roomy, pram style, lie-flat space for your newborn child to travel in. If you are looking for standard pram features as a pushchair accessory, then the Ergobaby Metro Newborn Kit gives you this. 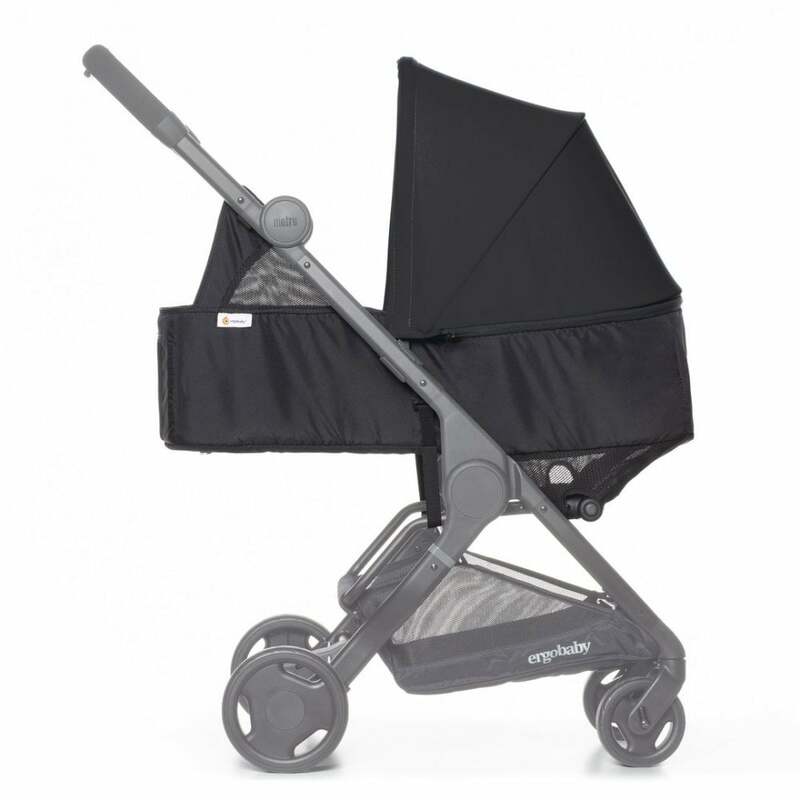 It has a self-supporting lie flat position which is perfect for your newborn up to around 9kg. There is plenty of padding with your new born in mind and a large protective sun canopy. The cosy, washable mattress has a fleece cover on one side and a cool knit fabric on the other. Therefore whatever the season you have a suitable mattress ready to use. You simply attach the kit to the Ergobaby Metro Compact City Pushchair frame and have the benefits of a pram on a compact pushchair chassis. You can fold the Metro Kit with one hand into a very compact package. This is so convenient. You don't need any tools to install the Ergobaby Metro Newborn Kit on the chassis - and it takes no more than 2 minutes! Therefore the design for your baby and for your own convenience is very well thought through. The Ergobaby Metro Newborn Kit gives ample convenience as well as comfort.